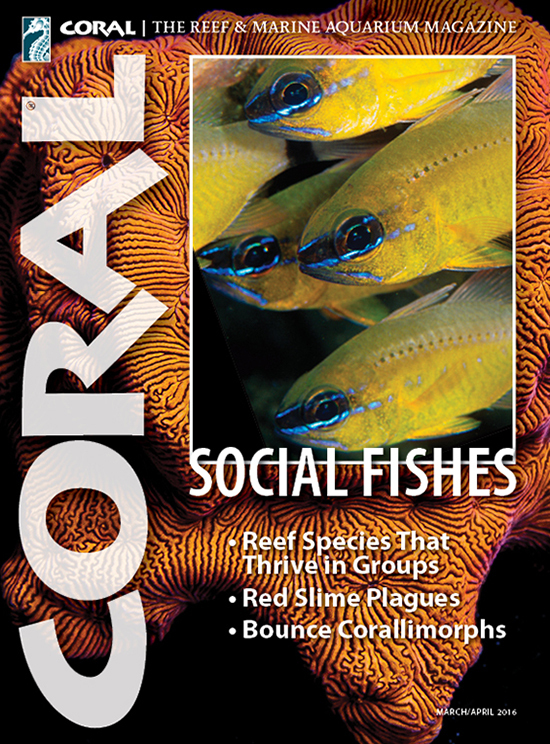 Preview cover of CORAL Magazine for March/April 2016, with a publication date of March 8th. Cover image by Scott W. Michael: Ringtail Cardinalfish, Ostorhinchus aureus, shoal. 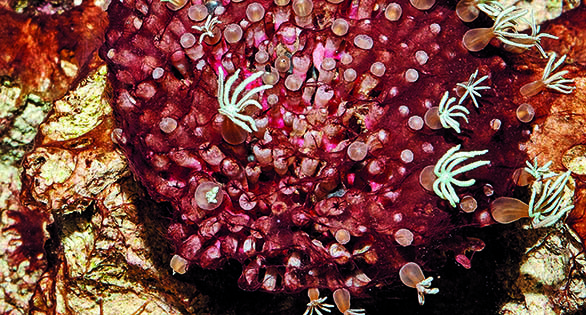 Look to the next CORAL for lively inspiration and cover-to-cover information, ideas and world-class photography. 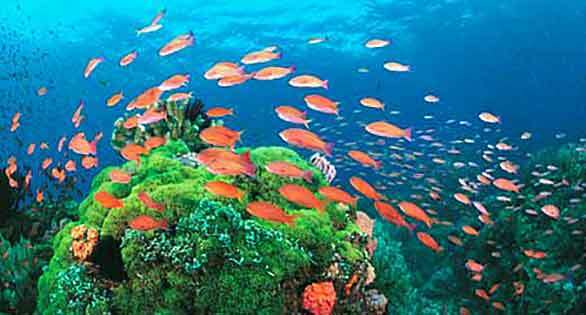 Shoaling anthias: secrets for their selection, care and feeding. 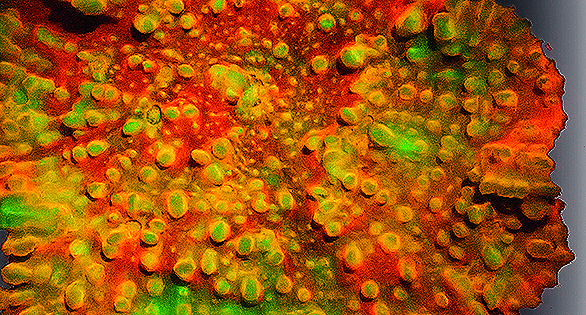 Cyanobacteria, the red slime plague: where it comes from and how to cope. 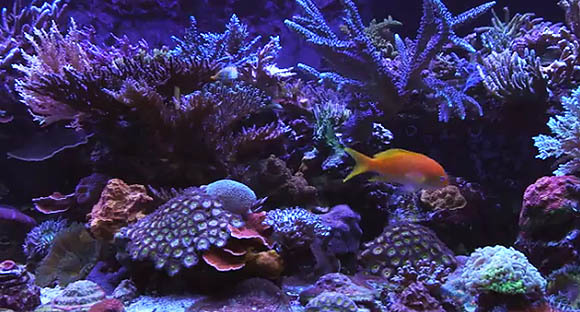 An awe-inspiring American reef with an eclectic combination of high-tech lighting and system management technology, including continuous water changes. Fluorescent Pigments and how to make the most of them in a reef tank. And much more from the world’s leading marine-only aquarium magazine.